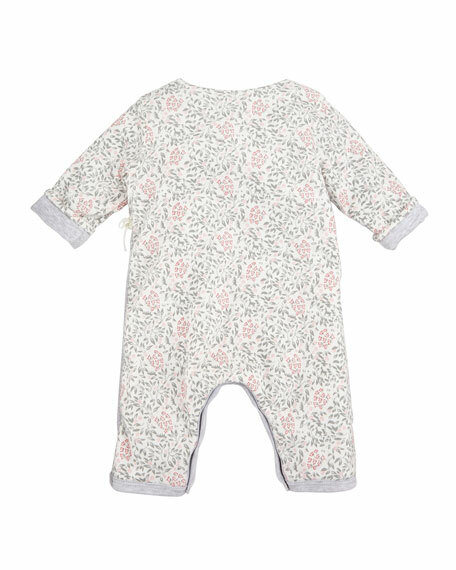 Petit Bateau "Taiga" coverall in floral print. Faux-wrap front with snaps and tie on left side. For in-store inquiries, use sku #2724512. 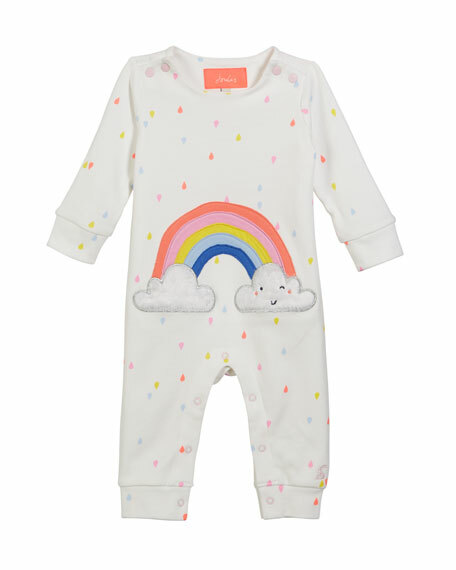 Angel Dear knit striped coverall with bunny intarsia at front. Inverse striping at back. Carrot intarsia at back patch pocket. Crew neckline; buttons at left shoulder. Long, raglan sleeves. Snaps through legs. Cotton. Imported. 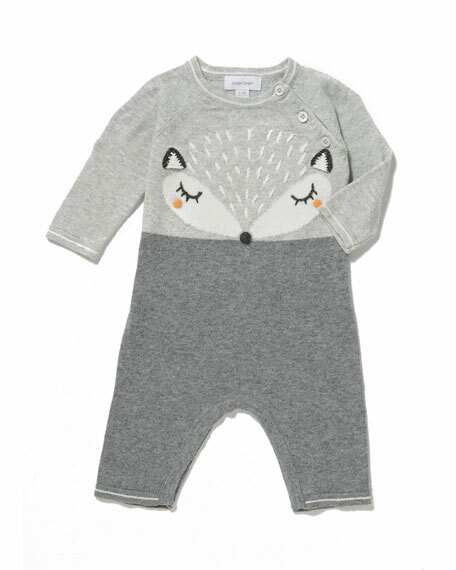 Angel Dear two-tone knit 12GG coverall with fox face intarsia. Crew neckline; buttons at left shoulder. Long, raglan sleeves. Snaps through legs. Cotton. Imported. 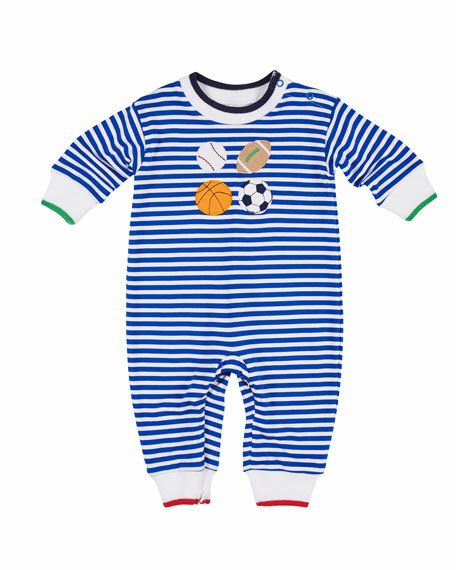 Florence Eiseman stripe knit coverall. Baseball, football, basketball, and soccer ball embroidery at chest. Crew neckline; snaps at left shoulder. Long sleeves. Contrast tipping at banded cuffs. Zips through legs. Cotton/polyester. Made in Peru. 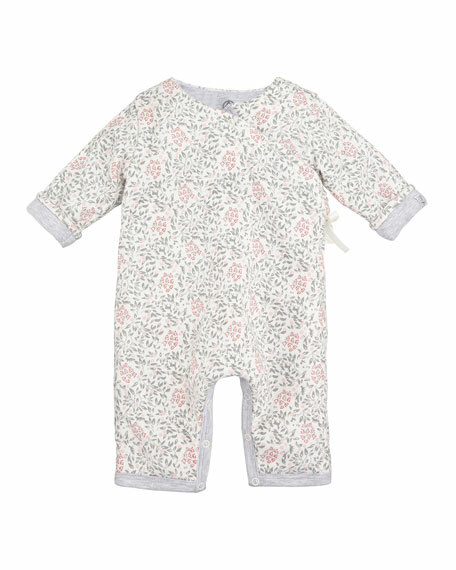 Joules "Gracie" coverall in multicolored rain drop print. Smiling rainbow appliqu at front. Crew neckline; snaps at shoulders. Long sleeves. Snaps through legs. Cotton. Imported.